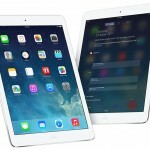 Is Apple's Smart Case For iPad Air Worth The Cash? 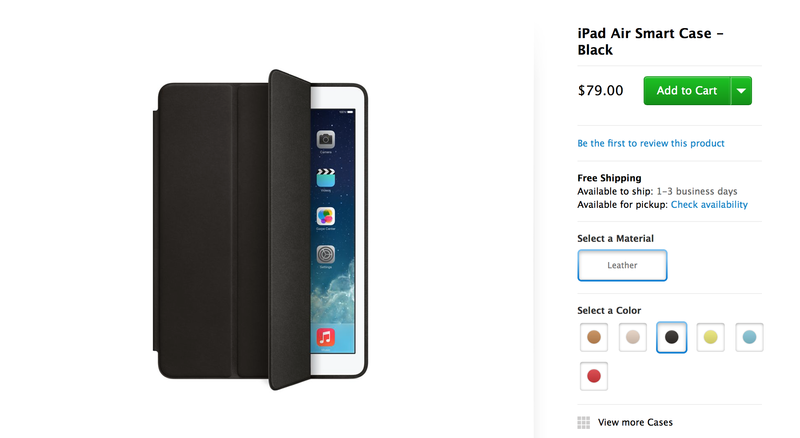 If you've just bought an iPad Air, the chances are you're in the market for a case of some kind. Apple itself offers two different means of protecting its fifth-generation 9.7-inch iPad: a Smart Cover, and a more expensive Smart Case. But for $79.00, is this leather Smart Case worth the cash? In our latest hands-on video, we find out. Apple's Smart Case for iPad Air offers more comprehensive protection than its Smart Cover counterpart, covering not only the tablet's screen, but also its sides and back. There's room for a Lightning connector (even a third-party iteration), and the Smart Case also allows users to access the iPad Air's Lock button, its volume controls, and the mute switch - along with its Home button, of course. On the back of the case, an Apple logo is imprinted on the leather, and in this respect the Smart Case mirrors the appearance of the iPad Air itself. Like the Smart Cover, closing and opening the front of the Smart Case locks and unlocks the iPad Air's display. You can fold this cover in order to prop up the tablet in two ways: upright (in order for movie viewing, for example), and near-horizontal (in order for typing). In the below video, we take a closer look at the Smart Case for iPad Air. But is the Smart Case worth the cash? As Dom notes in the above video, that's something only the individual can decide. Of course, if you've been keeping up to date with our weekly "This Week In Accessories" column, you'll know that a large number of alternatives are already available on the market - with more expected to follow. As such, we'd recommend that you check out This Week In Accessories: iPad Air Case Madness, Part 1 and This Week In Accessories: iPad Air Case Madness, Part 2. For more information on the Smart Case for iPad Air, head over to the Apple Online Store. The case can be purchased for $79.00 and is available to order now. See also: Cartoon Network Issues First Spooky Update To Ghost Toasters - Regular Show, J.D. 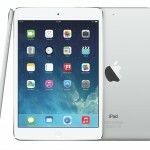 Power Explains That Samsung's Tablets Beat Apple On Cost, Not Quality, and Benchmark Comparison: iPad Air Versus iPad 4.